When I met Bill Wulf at the Rose, White, and Blue Parade on the Fourth of July, we got to talking about other local historians like Clyde Arbuckle and Ralph Rambo, both of whom he personally knew. He told me I needed to check out the work of Patricia Loomis. I was familiar with her name but had never seen any of her books. I looked her up in the San Jose Library catalog and saw that they had copies but they could not be checked out because they were signed by the author and had to stay in the King Library’s California Room. Not long after, I was refreshing my Google bookshelf and remembered to add Pat’s books to the list. On a lark I Googled her to see what else I could find out about her and was sadly shaken to find she had passed away only a week prior. On a bittersweet note, just a few weeks before that she had celebrated her 90th birthday with a big party at San Jose Historic Park. Here’s a timeline that shows how these events all converged inside the span of 30 days. Pat was born in San Francisco in 1920 and grew up in Arroyo Grande near Pismo Beach. She came to San Jose to attend San Jose State University and stayed for over 60 years. She took a job at the Mercury News as a reporter but most famously between 1971 and 1981 she wrote a weekly column called “Signposts” in which she presented the history of the streets of Santa Clara County and the pioneers they were named after. That’s right, a history of the streets. This is why Bill Wulf turned me on to her. Select columns were published in two volumes called Signposts and Signposts II by the San Jose Historical Museum, the same group that runs History Park. Last week I was up in Menlo Park and discovered a wonderfully funky used bookstore on El Camino called Feldman’s Books. I went inside and made a bee’s line to the California history section to see if maybe, just maybe they had one of Pat’s books. Eureka! 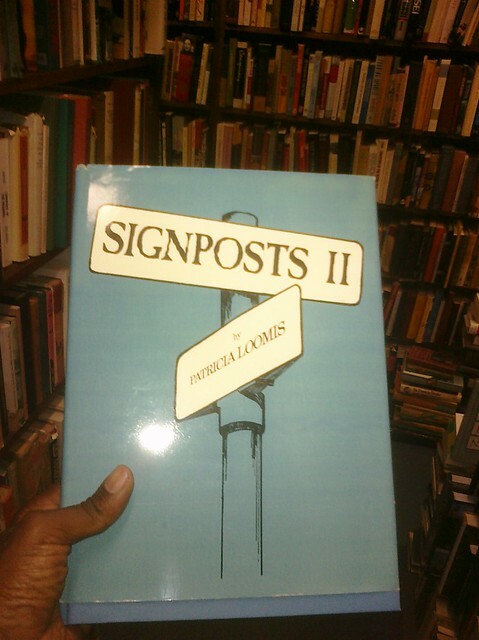 Signposts II is a delightful book. The table of contents reads like a South Bay atlas: Bascom Avenue, Lawrence Expessway, Montague Expressway, and more. The very first article, Abel Road in Milpitas, mentions Oakland Road and Main Street which pass by Henry Abel’s old cow pasture. I had been wondering about Abel since it has superceded Main Street in the modern era, and now I know all about it. I learned that Henry Abel’s granddaughter Mrs. John Donovan developed Serra Shopping Center in Milpitas, a kitschy tribute to Padre Junípero. Each page is deeply researched, vibrantly narrated, and illustrated with vintage photographs. I’ll treasure it. She wrote another seminal history book called Milpitas: a Century of Little Cornfields, 1852-1952. 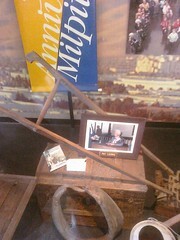 It’s featured in the Milpitas Historical Society’s permanent display at the Great Mall. Pat stayed active. After retiring to Arroyo Grande she wrote two more books: Streets of Arroyo Grande and Arroyo Grande Cemetery, which incidentally is located on El Camino Real down there. Clearly she was a girl after my own heart. You are currently browsing the archives for the Arroyo Grande category.